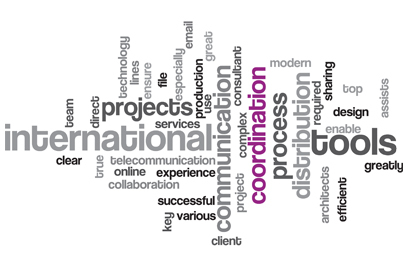 Clear and direct lines of communication are the key to a successful project. This is especially true for international projects with an international client and consultant team. Modern IT technology greatly assists the coordination and distribution process. KRAUSE ARCHITECTS have the tools and experience to ensure great communication and coordination as required on complex international projects. On top of telecommunication and email tools we also use various file sharing / distribution services and online collaboration tools which enable an efficient design and production process.